WinkBeds is a super premium hybrid mattress (foam and springs combined) that only sells online. The company offers one WinkBed mattress with three firmness options and a newly launched WinkBed Plus for heavier sleepers. Saatva is an ultra-premium, eco-friendly innerspring mattress, sold exclusively online. Like, Saatva, WinkBeds also utilize a factory-direct model to keep costs low and pass on those savings to customers. Both Winkbeds and Saatva mattresses are handcrafted in the USA. Winkbeds is a New York based company founded in 2015. It produces a factory-direct luxurious hybrid mattress with multiple layers of pocketed coils. Winkbed is a universally comfortable hybrid mattress as it combines the best of both sleep technologies — the plush comfort of foam with the contouring support of two layers of spring coils. It has unique five layers of comfort and top has a euro pillow style topper. In addition, it is super comfortable for all sleeping positions. Exclusively available online and each mattress is made-to-order. It is hand-crafted in the U.S.A. with the most durable, American-sourced materials. It uses eco-friendly (CertiPur-certified) and latex/allergen-free materials. Hence, WinkBed is a high-quality mattress and attractive from price point. Founded in 2010, Saatva headquartered in Westport, CT and have factories all over the USA. This interesting brand also operates on a factory-direct business model and uses smart technology. Their better coil-on-coil technology has upper coils encased in foam which offers you the best of both worlds while maintaining a high element of comfort. It is exclusively available online from the manufacturer only. It is hand-crafted in the U.S.A using best CertiPur-certified materials. Thus, Saatva is also a premium quality mattress that comes at affordable price. WinkBeds are 14.5” coil on coil luxury hybrid mattress. It comes with distinctive features in five layers of comfort. Its high-quality construction and many benefits offer sleepers to maximize support and comfort while offering relaxing and responsive night’s sleep. 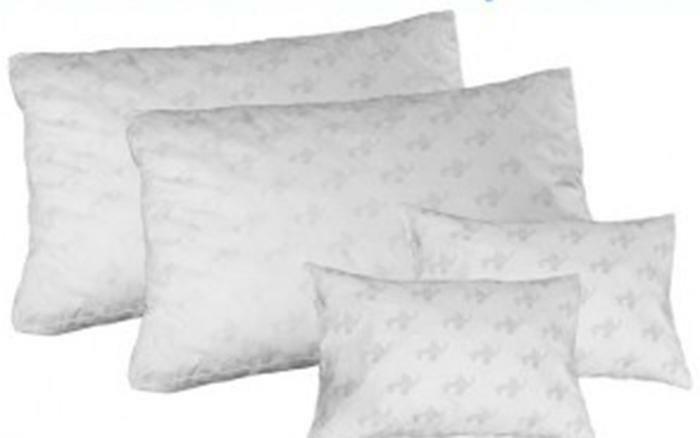 It has a plush euro style pillow topper constructed of Tencel fibers (Lyocell). This material is naturally absorbent and makes the cover breathable and soft. Moreover, it features unique edge support system, pressure relieving support system, and maximized airflow material for keeping you cool while sleeping. 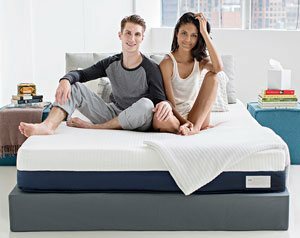 Saatva is luxurious mattresses with smart “coil on coil” construction and unique features. It includes two sets of individually wrapped coils that respond to body contour and tempered steel coils to prevent sagging. It features foam encased edge support system for more sleep surface. Also, the Euro pillow top cover offers more cushioning, greater comfort and an appealing look. WinkBed, a hybrid mattress is made from coil-on-coil springs and a foam blend. It is 14.5″ in height and designed to offer a luxurious, high-end feel and aesthetic. This mattress construction has 4 different layers of coils and foam. 2″ Top comfort Layer – 2″ euro-style pillow top which has 1″ of hypersoft foam and 1″ of premium cooling gel foam, each of 1.5 lb density 17 ILD will not allow you to feel the springs directly. It has super soft foam and gel foam, to provide a very cool and comfortable sleeping surface without feeling hot. 2.4″ support Layer – It is 2.5″ of innerspring micro AirSprings pocketed coils layer. Its every coil is encased in foam for enhanced airflow and buoyancy. It allows the mattress to better contour to each sleeper’s unique shape. 2″ enhanced lumbar support Layer – The 2″ layer of a pre-densified cotton layer lies below Micro Air-Springs. This provides additional pressure relief and lumbar support while helping to reduce stress and tension across the lower back. 4.5″ deep compression/transition Layer – This is a 4.5″ layer of high-profile tempered steel coils provides deep compression. These steel coils act as a transitional support layer offering maximum comfort, support, and alignment even for larger persons. 4” edge support system layer – This third layer of high-density ILD perimeter edge support system comprises of high-density support foam allowing individuals to sleep along the bed’s edge without sagging. It also allows individuals to sit on the edge of the mattress without falling. Saatva offers mattresses in 11.5” or 14.5″ high. Their hybrid coil-on-coil system construction helps in improving comfort, support, and longevity. 1″ top comfort layer – It has .625″ soft foam and .375″ Visco memory foam in 1.2 – 2 lb density. This pillow top cover is built from organic cotton which makes it breathable and soft. Inserted within the cover is a euro-style pillow top for great comfort and softness. Lumbar support enhancement layer – This very thin memory foam layer directly below the cover helps provide pressure relief, reduce stress and tension in your lower back. Individually wrapped comfort coils – The 4” individually foam encased contour coils serves as the comfort and contour layer. These coils provide full body support and contour. Saatva Queen Size mattress has 884 foam encased coils. Steel Coil Base Support System – The high profile7″ thick traditional hourglass shaped, steel coils make up the foundational layer. This layer provides support and shapes for the mattress while increasing durability and preventing sagging. Dual Perimeter Edge Support System – This layer along the edge of the mattress lies between the top and bottom layer of coils. The edges of the mattress encased in foam improve performance for sitting and sleeping by adding support. 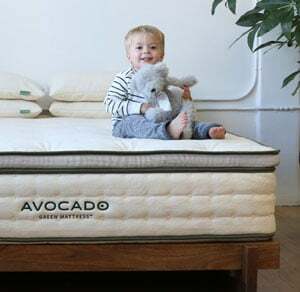 Planning to buy Avocado Mattress? One of the perfect choice for lightweight side sleepers made from organic cotton with a button tufted cover. Also durable for pressure relief support and great bounce offered. Read them off! Choose Helix Sleep regardless of you and your partner’s sleeping preferences. Helix provides customized mattresses that works for couple regardless of the sleeping preference. Read on to know more about Helix Sleep here. WinkBeds mattress cover is made from Tencel, an extremely eco-friendly and sustainable material. It is a botanical-based fabric softer than silk, cooler than linen and more absorbent than cotton. It naturally wicks away moisture to the outside and keeps the sleeping surface cool. WinkBeds also has a euro-style pillow top for greater comfort and softness. Saatva mattress cover is made up of 100% organic cotton at is highly breathable, cool, & soft. Its euro-style pillow top cover adds extra softness and comfort to the mattress. This material is inserted underneath the cover and seamlessly aligns to the edge of the mattress for a cleaner look. WinkBeds come in three firmness options. The medium WinkBed is the most universally comfortable and popular design. It offers the perfect balance of contouring comfort and pushback support. The soft WinkBed is designed for sleepers who prefer a deeper sink. This version uses a more flexible coil system and an extra layer of foam in the sleep surface for added body contour. The firm WinkBed is designed with the same pressure-relieving foam as the original WinkBed but with a firmer, zoned coil unit for added support. This bed is ideal for sleepers who need extra support in the hips or middle part of the body. Saatva also comes with three different comfort options. Its Plush Soft comfort level has a layer of individually wrapped coils with softer and conforming foams for creating a bed that hugs your body while you sleep. Saatva Luxury Firm mattress offers the perfect balance of cushion firm and contouring support. This not too firm and not too soft comfort level is perfect for side, back or stomach sleepers. The Firm comfort level has individually wrapped coils with firmer foams for creating a mattress that floats your body on the mattress as you sleep. WinkBeds absorb motion easily which means you will not be disturbed by your partners moving. However, motion transfer is a bit more than in a typical foam or memory foam mattresses. Though, it is moderate because of its top foam sleep surface that contributes to the minimized motion. Saatva mattresses are amazing in Motion Isolation. The movements on it are extremely well isolated. While changing sleep position or getting on or off the bed, the mattress will not move at all. This is because the individually wrapped coils are completely isolated from each other. Winkbeds Vs Saatva – Where to Buy? The best place to buy Winkbeds Mattresses online is from their official website winkbeds.com or Amazon. However, if you wish to try the WinkBed mattress, then now it is available for trying at the Sleep Sherpa Showroom, located in the Twin Cities Metro Area at 7301 Washington Ave S. Edina, MN. You can buy Saatva mattresses directly through their official website saatvamattress.com only. If you are looking for an innerspring mattress manufactured in the USA and sold only online then both WinkBeds and Saatva looks great. However, Saatva is being in the market for a longer period of time and have amazing customer feedback. From the price point and features also Saatva looks best. But, WinkBeds also has its own unique strengths. Its unique features are competitive and the bed works on adjustable frames which is making it popular. Thus, you decide on your own and buy the mattress of your choice. The Classic Series MyPillow features 2 custom loft levels to fit your size and sleeping position for the most comfortable pillow. Adjust it to meet your exact sleep positions – back, stomach, side or all 3. SOL Organix is an online website that offers you eco-friendly materials that are safe for the skin and the health. Free from flame retardants or dangerous chemicals, SOl Organics uses only pure and organic cotton which is converted to luxurious beddings and duvets for optimum comfort. Know more about SOL Organics here.